History has become a weapon in Russia’s battle with the West over Ukraine as President Vladimir Putin looks increasingly to the past to whip up patriotism and rally support. Last month’s lavish commemorations of the defeat of Nazi Germany in WWII, several declarations by Putin and new history textbooks have all presented what some independent historians say are slanted or rewritten versions of the past. This is perhaps not surprising for a man brought up in the Soviet Union, where history was vetted to glorify Communism, denigrate the West and denounce “enemies of the people.” Among Putin’s critics is Russian activist Alexandr Podrabinek, who was detained and convicted on the charge of slandering the Soviet regime and was sentenced to 5 years of exile in northeastern Siberia for publishing dissident articles. He writes: “Our society is still under the hypnosis of Soviet propaganda, or, at best, is indifferent towards its own past, unable to fathom the importance of the past to its own future.” In 1987, Alexandr Podrabinek founded the Express-Chronicle, “detailing the systematic abuses of psychiatry – including drug treatments, medical procedures, and institutional detention – by Soviet authorities.” Read more by Podrabinek, now Editor-in-Chief of PRIMA news, a human rights news agency, here. Last week,Russian Journalist Alexandr Podrabinek and Cuban Human Rights Activist Guillermo Fariñas Hernández received the Victims of Communism Memorial Foundation’s Truman-Reagan Medal of Freedom (event details here) in D.C.
About Guillermo Fariñas Hernández. Throughout his life, Fariñas has fought courageously and selflessly for the right to freedom of information and against government repression in Castro’s Cuba. A psychologist, journalist and political dissident, Fariñas captured international attention when he went on more than 20 hunger strikes in the 11 years he was held prisoner by the Cuban government. His actions helped expose the human rights abuses perpetrated by the Castro regime. He is currently General Coordinator of the United Anti-Totalitarian Forum (FATU), a group of political activists committed to nonviolence, and was awarded the Sakharov Peace Prize by the European Union in 2010. Fariñas has been a vocal opponent of President Obama’s recent “thaw” in relations with Cuba, saying that the political and humanitarian situation is not likely to improve in light of the new deal. About Alexandr Podrabinek. 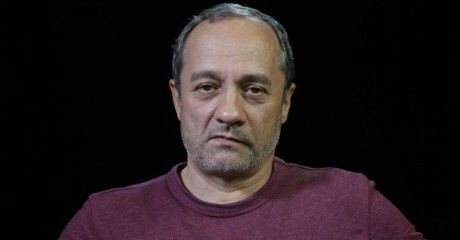 During his studies to become a doctor in the former Soviet Union, Alexandr Podrabinek became acquainted with the Soviet system’s tyrannical use of psychiatry to repress its own people. Alarmed at what he saw, Podrabinek investigated further, his dissident activities eventually causing the authorities to dismiss him from medical training. In 1977, he published his observations in the groundbreaking book Punitive Medicine, which led to his arrest the following year and eventually a sentence of five years’ exile in Siberia. Since then, Podrabinek has written and edited for several dissident publications and published Alexander Litvinenko’s landmark book Blowing Up Russia. Podrabinek has endured multiple arrests and imprisonment in his struggle against repressive Russian governments, from the Soviet system of the past to Vladimir Putin today. About the Truman-Reagan Medal of Freedom. The Truman-Reagan Medal of Freedom is awarded each year by the Victims of Communism Memorial Foundation to those individuals and institutions that have demonstrated a lifelong commitment to freedom and democracy and opposition to communism and all other forms of tyranny.